Our Family is now in Michigan! For over 100 years now, Our Family has been proud to provide quality products at affordable prices to families like yours all over the country. We’re excited to bring that great tradition to the Great Lakes State. From milk to the ingredients for family spaghetti night to disposable dishware and everywhere in between, you’ll find just shy of 2,000 Our Family products throughout the store — products that are as good, if not better, than national brands, at everyday low prices that won’t wreck your budget. And we’re adding exciting new products to Our Family all the time, like our crisp and refreshing new sparkling water. Trust us, you’re going to love it. Like you, we think your family deserves the best variety, and at the best price, too. 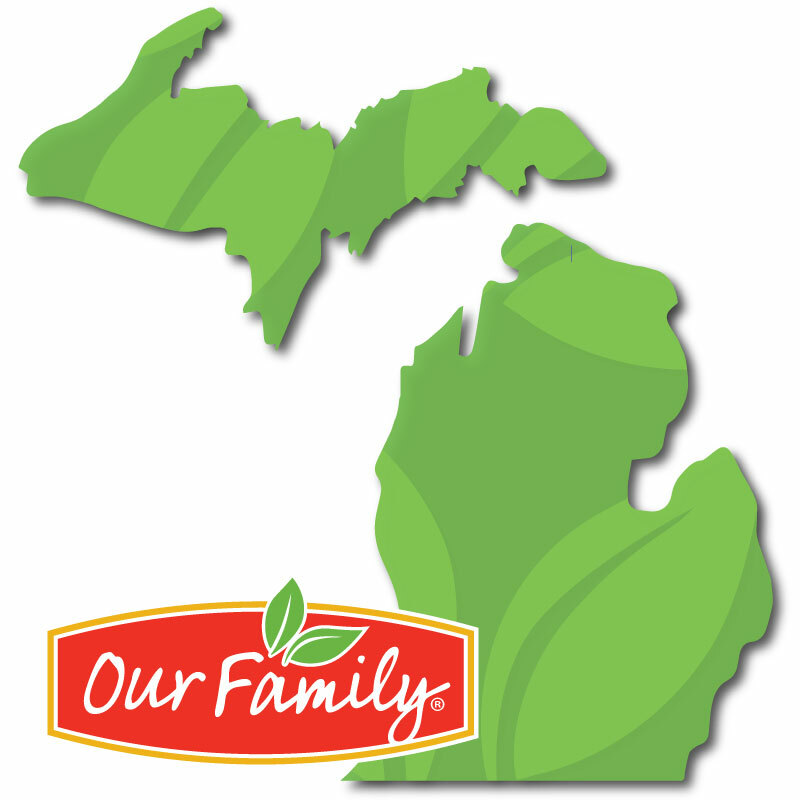 So look for Our Family in stores throughout Michigan, and make Our Family a part of your family!